We gave Fast Bud’s breeders one goal to pursue. Create the most productive strain possible with our autoflower genetics. The result is one of our most bountiful varieties for sale, and at a steal of a price. Introducing Six Shooter, a hyper-productive sativa dominant hybrid with some of the highest yields of any autoflower strain out there. It packs a punch too. The visible resin that covers every inch of our Six Shooter strain’s massive buds lets you know that you’re in for a ride. 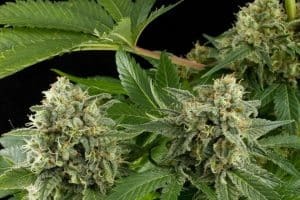 It’s not just another “good autoflower.” It’s become a flagship strain in its own right. 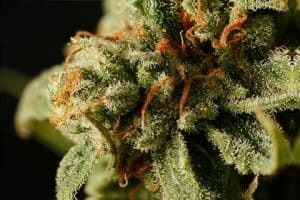 Fast Buds is proud of its breeders for creating an original strain that stands toe to toe against anything out there. 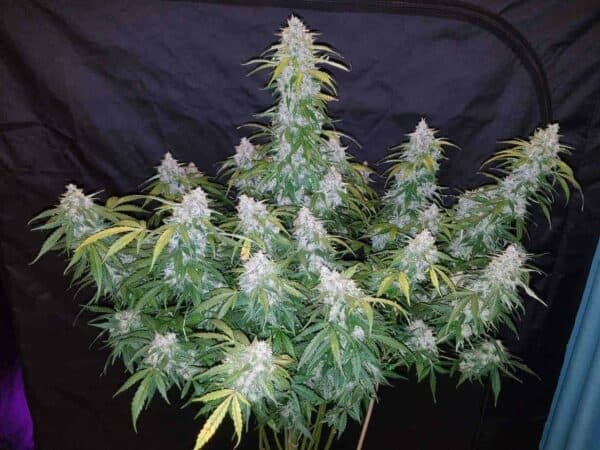 Six Shooter seeds produced the largest plants in our catalog (until Tangie’Matic stole the crown) but they still tie with Gorilla Glue for first place for our the heaviest-yielding autoflowers in our catalog. It reaches a height of approximately 100 to 140 cm (3.2 – 4.5 ft) and produces a beefy, elongated central cola surrounded by side colas of modest size. The sturdy branch structure maintains its shape and support in relation to the central stem and cola. Its bright green leaves are desirably sparse and exhibit a rounded shape. The resulting high bud-to-leaf ratio makes the process of manicuring pleasantly fast. Flowering occurs 3 to 4 weeks after the emergence of the first true leaves. 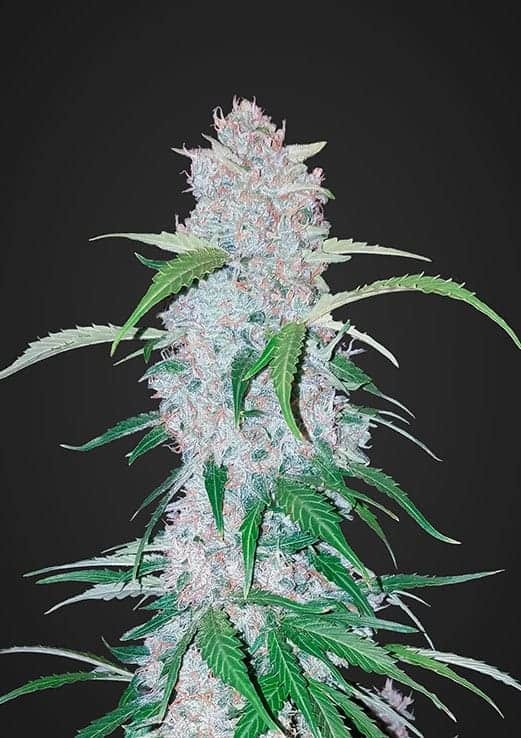 It’s not every day you see such a high-yielding autoflower ready to harvest in just 9 weeks. Final yields reach a staggering 500 to 750 grams per square meter (up to 1.6 pounds per light).